Thank you for choosing to publish with PLoS - by now you will have received an email confirmation that your article "A Computational Methodology to Screen Activities of Enzyme Variants" PONE-D-12-07445 has been accepted for publication. Therefore, please find appended an invoice PAB57303 for this article. I would like to request a waiver for the publication charges. Thank you for your message. Yes, we can work with you to extend a partial or full fee waiver depending on financial circumstances. Can you please advise us to reason for your waiver? The grant supporting this work has expired while the mss was in review, a protracted process that started in early March, and involved waiting 4 month for the second round of reviews despite numerous inquiries to the editor! Thank you for your message. I’m sorry to hear about your protracted review process that you experienced. We will grant you a full fee waiver given your grant expiration. We appreciate you choosing to make science open by publishing with PLOS. Invoice PAB57303 has been cancelled. Thank you for publishing with PLOS. And it's called ... arXiv! Preprints have a long and notable history in science, and it has been PNAS policy that they do not constitute prior publication. Most chemistry journal web sites are vague or downright discouraging (I am looking at you, ACS). However, most journal editors I have contacted turn out to be OK with manuscripts being deposited on arXiv. In fact the only exception so far is ChemBioChem, which flatly refused. I think this is completely anti-science and I intend to boycott these journals like I do for Elsevier journals: no submission, no reviewing, etc. arXiv is 5th most cited science journal - well ahead of any chemistry journal? arXiv papers are "published" on arXiv within roughly 24 hours of deposition? arXiv articles are discoverable on Google Scholar roughly within a week of deposition on arXiv? So, what's stopping you? I double dare you to deposit your next manuscript to arXiv. * The reviews arrived on September 24th and can be found below. I have just received the reviews. While I believe we can formulate an appropriate response, given the fact that it took 4 months to get the last revision reviewed, we will only re-resubmit if you are willing to make a decision without soliciting further reviews and within a week of receiving the revised manuscript. Otherwise, we will retract the paper as we feel we can get it reviewed considerably quicker at another journal. I am willing to make a decision within a week of receiving your revised manuscript. I may decide to take such decision assisted by further review(s). This will not affect the time to take my decision. Thank you for submitting your manuscript to PLOS ONE. After careful consideration, I feel that the manuscript is still not suitable for publication as it currently stands. Therefore, my decision is "Major Revision." We invite you to submit a revised version of the manuscript that addresses the points of the reviewers. We encourage you to submit your revision within forty-five days of the date of this decision. We apologize for the delay in providing you with the reviews of the manuscript. When your files are ready, please submit your revision by logging on to http://pone.edmgr.com/ and following the Submissions Needing Revision link. Do not submit a revised manuscript as a new submission. If you would like to make changes to your financial disclosure, please include your updated statement in your cover letter. Reviewer #2: The authors have made some minor revisions to the paper to address some of the comments. This method will not be generally reliable for all enzymes: it will fail for mutations that cause significant structural changes, or that cause changes in mechanism (or change which step is rate limiting). It will fail for reactions for which the computational methods are unreliable (these methods are known to have significant failings for a wide variety of reactions, much more than just open shell systems and transition metals; conformation and structural properties are also problematic, e.g. even for simple peptides, and for hydrogen bonds). The proposed method will also fail for reactions in which changes in solvation are significant; it can only be successful where adiabatic mapping profiles can usefully be calculated and provide a useful approximation to the free energy barrier. Clearly also it cannot (and is not designed to) deal with changes in binding affinity (which may be significant, even at high substrate concentrations) or enzyme stability. The discussion should be expanded and clarified to make these points clear, so that the limitations of the proposed procedure are clear to anyone else who may wish to use the method. With those caveats, this type of proposed procedure may be useful to other workers. The reliability of the method for the lipase will only become clear when the authors complete and publish the comparison with experiment, but it will be useful for them to be able to refer to the full technical details of the procedure, so I recommend publication (with these minor revisions) so that their work is not delayed. Reviewer #3: Hediger et al. propose a method to compute fast enzymatic barriers by optimizing, at a fixed distance length, the conformations obtained by geometric interpolation of reactant and product structure. Due to the large dimension of the system the authors decide to use PM6 semiempirical methods combined with MOZYME, instead of standard SCF. 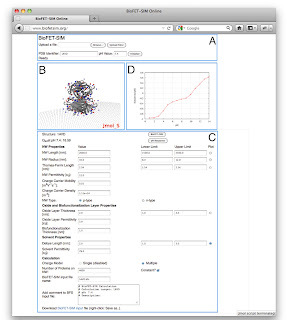 As discussed by the authors a fast approach to screen the effect of mutations in the barrier will be useful for design. However the authors may show that, in spite of the approximations needed for a fast screening, their method is able to reproduce some experimental data. A simple control should be the comparison of the obtained barrier with experimental ones. However the obtained value of 6.0 kcal/mol is much lower than the 15-20kcal/mol measured experimentally. The authors claim that this is because they generate the initial enzyme-substrate (ES) complex based on the product (tetrahedral intermediate, TI) and therefore the active site does not fit optimally the substrate. A simple manner to confirm this is to compare the obtained barrier from the TI to the transition state (TS) with the values obtained for the trypsin (Ishida and Kato, 2003 JACS). Indeed, from the plot of Fig. 7, it seems that the reverse barrier is of aprox. 10 kcal/mol, that it is similar to the one of the trypsin. It is expected that the reverse barrier is estimated better than the reaction barrier since, in this case, the TS is more similar to the product than to the reactant. However, if the active site of the enzyme is not optimal for the different species along the reaction path it can give serious problem in the barrier and reaction energies calculation, depending on the crystal structure used as an input. It can be explored if a fast optimization (even at classical level) of the binding site itself for the reactant, product and selected TS conformation can improve the barrier estimate. The authors suggest that the effect of the low barrier is cancelled when computing the relative barrier of mutants against the wild type one, but this has to be proven. I do not find any explanation for the choice for the particular single mutants assessed. It should be better if the authors compare relative barriers obtained for few mutated variants with the experimentally determined kinetics parameters present in literature for that mutants. A method in which a particular variable (in this case a distance between atoms) is used as a reaction coordinate implies that the user may have prior knowledge of the system. It could be also the case that there is some hidden variable (i.e. a dihedral) and this could lead to estimate wrongly the barrier. This aspect should be mentioned in the method applicability description (i.e. in page 14). The tetrahedron intermediate acronym should be defined. In page 2, line 49 there is a typo in 'efficiency'. In page 3, line 53, in the sentence "the estimation of the reaction barrier of the reaction" one of the 'reaction' has to be deleted. In page 4, line 31, 'CaLB' should be 'CalB' as in the rest of the manuscript. Reviewer #3: The authors have added some sentences to address the comments raised about the applicability of their method to other systems. More importantly, they refer in the text and make available an unpublished study in which they tested their method against experimental activities. From the application paper, the method appears promising to identify potentially interesting mutants, being able to discriminate, with exception of few variants, between 'very active' and 'very inactive' mutants. Therefore I recommend the publication. The aim of the project is to develop selective inhibitors for cytochrome P450 (CYP) 17A1 for use in anti-cancer therapy. Initially, the enzymatic mechanism will be mapped by computational methods. Subsequently and utilizing the knowledge about the mechanism, selective inhibitors will be identified, respectively designed. Finally, potentially interesting ligands will be tested and characterized. When a foreign compound, like a drug, enters the human organism, a number of defence systems are activated. One of them is the ubiquitous multifunctional cytochrome P450 (CYP) family of enzymes that metabolizes about 80 % of drugs, by transforming structurally diverse compounds to water-soluble derivatives by oxidation. The seven most prevalent isoforms of cytochrome P450 enzymes are responsible for almost all metabolism of all known drugs. It has been known for long time that certain CYPs may convert foreign compounds, xenobiotics, to reactive metabolites, and that some of these metabolites may be carcinogenic. New findings – that several endogenous metabolizing CYPs are directly related to various cancer types – have turned the CYPs into direct targets for anti-cancer therapy. In this PhD project, we will focus on the CYP17A1 for three reasons: 1) CYP17A1 is a proven target for treatment of prostate cancer and perhaps also for treatment of breast cancer, 2) the 3D structure of the CYP17A1 complexed with abiraterone and a related compound recently have been determined and published in Nature by Emily Scott, who will be part of the project, and 3) developing selective nonsteroidal inhibitors for CYP17A1 represents a special challenge. CYP17A1 is unique enzyme, because the same enzyme catalyses two subsequent processes: 1) conversion of pregnenolone to 17-a-hydroxypregnenolone (the 17-a-hydroxylase process) and 2) conversion of the 17-a-hydroxypregnenolone to dehydroepiandrosterone (the C17,20-lyase process). Only a limited number of inhibitors of CYP17A1 have been reported in the literature, and nearly all of these are steroidal inhibitors, which also may interact with the androgen receptor. We have in several cases documented that we by computational methods are able to identify new ligands for various drug targets, i.e. b-lactamases, human peptide transporter, the 5-HT2A receptor, and most recently CYP1A2. Based on our experience with modelling enzymatic reactions, especially CYP-mediated reactions and virtual screening, we are confident that it will be possible to identify selective inhibitors for CYP17A1 within the framework of a PhD project. The project is expected to lead to an improved understanding of the structural requirements for ligand binding to and inhibition of CYP 17A1, i.e. to a establish structure/mechanism-activity relationships. The PhD project is also expected to identify/yield selective compounds, which may provide the basis for further work towards therapeutically interesting compounds. Professor Flemming Steen Jørgensen and associate professor Lars Olsen, Biostructural Research, Department of Drug Design and Pharmacology, University of Copenhagen. The project is a collaborative project between the Biostructural Research group at University of Copenhagen and associate professor Emily E. Scott at University of Kansas. The project will combine the computational expertise on the CYPs present in the BR group and the experimental expertise present in Scott’s group. The PhD student is expected to spend a considerable time in Scott’s laboratory. An applicant with experience in computational chemistry (in particular molecular dynamics simulations, docking and virtual screening), thermodynamic studies or protein-ligand studies will be preferred. Experimental experience with handling proteins will also be an advantage. Deadline for applications is Thursday 8. November 2012 at 12:00. 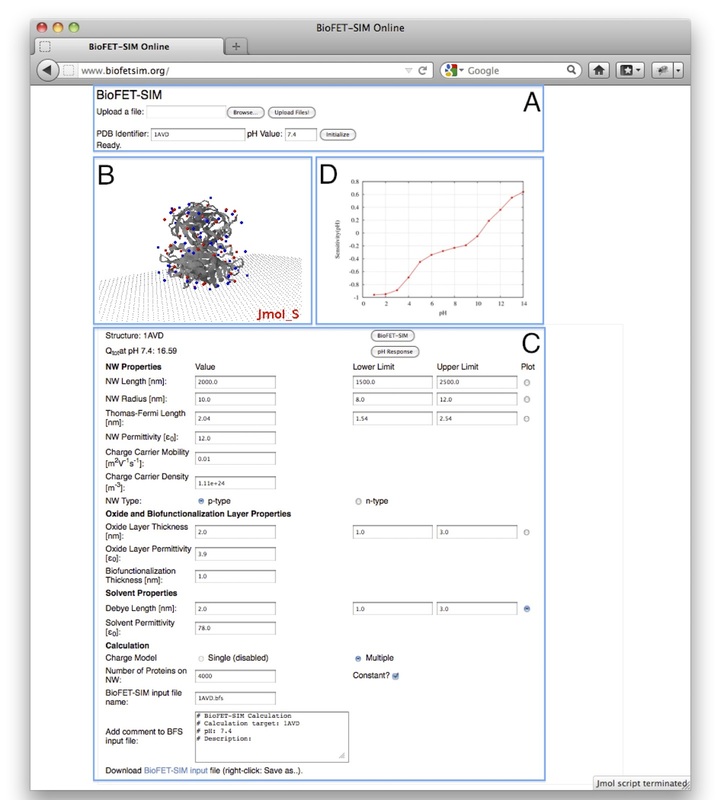 BioFET-SIM Web interface paper is now published on PLoS ONE. Get it now while it's fresh!